I have plenty of ‘Never Red it’ books in triplicate. Very incomplete overview of your literary knowledge. You don’t even considere the books you borrowed from the library in order not to read them. I didn’t want to let on about the book that’s nine years overdue. 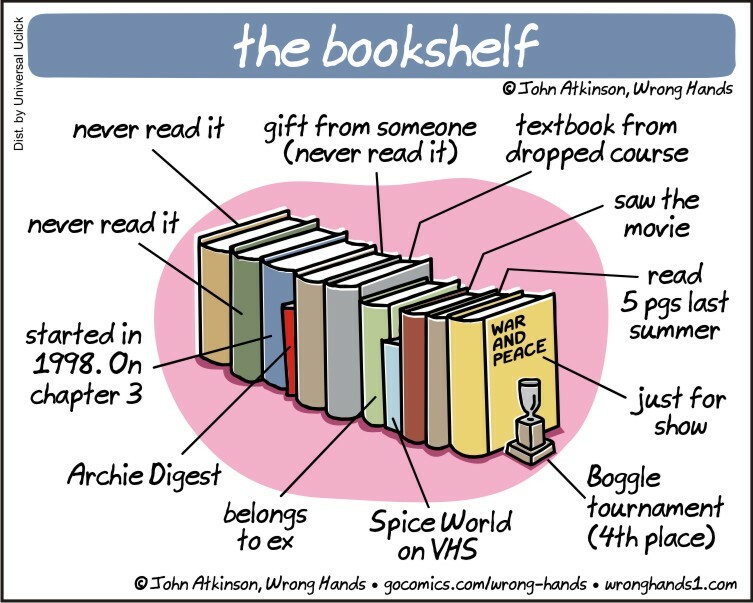 on March 9, 2018 at 4:11 pm | Reply Jay E.
This is almost the opposite of my own bookshelf. on March 10, 2018 at 2:07 am | Reply First Person Singular | What Are You Reading?